A WalkThru Garage Door offers quite a number of helpful benefits and features designed for the work place as well as your home. Increasingly more, the home garage serves double duty as a place of work. Installing a WalkThru Door often solves many privacy and pedestrian traffic concerns. Many workplaces use the overhead garage door as being the main access for the occupants. The overhead garage door is often lifted repeatedly during the day for the passage of workers, customers and shipping and delivery. Many times this large door is opened when a small door would suffice if it was nearby. The home lifestyle has also evolved into using the garage door as the primary entry to the home. Even when we don’t park the cars in the garage, people often come home, open up their garage door with the remote control, park the vehicle in the driveway and go into the house through the garage door. Kids are also heavy users of garage doors. They get home from school and often use the keypad remote to open and enter through the garage door. Since the garage is largest and most visable door on the home, kids seem to be naturally draw to using them as their primary access point. Smart builders have constructed garages with an alternate entrance to them. However, the convenience of an automatic garage doors has homeowners commonly disregarding them as the primary entrance to the garage. They are often less convenient due to their placement near the back or on the side of the garage, with several obstructions in the way. Human nature is to use the path of least resistance, deciding not to deal with gates, trash cans, or barbecues left in the way of that alternative doorway. 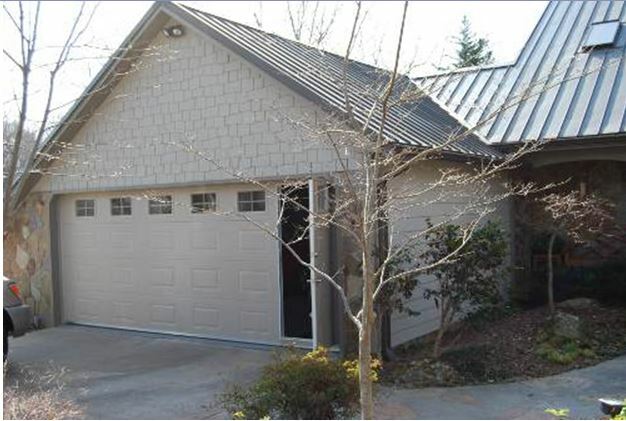 A WalkThru Garage Door benefit is the ability to enter from the driveway without opening the entire large garage door. This ease of access is a convenience, a lot similar to the sliding door offered on a minivan. For a price, minivan owners have an additional sliding door to easily load and also unload their valuable passengers; knowing there is simply no payback having these kinds of high priced options. The minivan owner will not experience increased fuel efficiency or more passenger / cargo space. This is solely an item of convenience. The convenient Walk Thru Garage Door has several advantages. Simple deadbolt key access to the garage. Since your garage door stays closed; the belongings inside the garage are not revealed to the neighborhood or passersby. The outward swing of the WalkThru component to the driveway, minimizes obstructions in front of it. More conventional entrances to garages frequently get objects placed in the way making passage difficult. A garage door entryway door maximizes the interior space of the garage. The floor and wall space where some other entrance would be, can instead be used for garage gear storage. In the occurrence involving a electrical power failure, a WalkThru Garage Door always allows entry or exit through the Garage Door. A built in benefit of the WalkThru Door is without a doubt the energy efficiency, which in turn means money saved. Additionally, the time it takes to open and close a swinging door is considerably less in contrast to the duration to a full size garage door to be opened and closed. The reduced exchange of hot and cool air from the garage and the outside, results in lowered energy expenses. There are additional savings of electrical energy by not operating the automatic garage door opener for access. 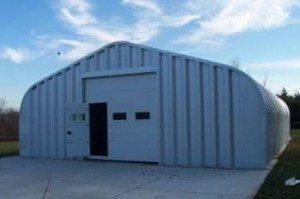 Garage doors are inherently heavy, and minimizing its use will reduce wear and tear, extending its operational life greatly. This door provides a considerable safety bonus too. Many homeowners are injured each year trying to beat a closing garage door. The Pedestrian Garage Door allows entry and exit without raising the entire door. Also, having no additional place of access to the garage except the WalkThru in the garage door, intruders are in full view in the drive way when attempting to gain access to the home, not hidden around the corner of the garage. These doors open to the exterior, so kicking or shouldering the door is not effective. In order to break in, the burglar would need to use pry tools in full view of the neighbors. Other standard entry doors to the garage are the preferable entry point for break-ins. To sum it up, WalkThru Garage Doors provide a unique convenience while helping its owners save time, conserve energy, while providing an extremely attractive and safe point of entry to their home or place of business. You may also be surprise to hear them called by some interesting names such as: Wicket Garage Door, Pedestrian Access Garage Door, Man Door, Service Door, Integrated Door, and Door within a Door. Find out how much they cost and Buy them from WalkThru Garage Door or purchase beautiful custom wood Walk Thru Doors at Designer Doors.